Mac Teen and Feiwel and Friends are launching a brand new community on Monday September 30th called Swoon Reads! 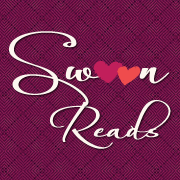 “Swoon Reads is a new YA romance community for writers and readers, but even more exciting is that it is a revolutionary new crowd sourced romance imprint that is dedicated to publishing books that capture the intensity and excitement of teen love. Are you a writer and working on a YA romance novel? You can submit your manuscript to Swoon Reads. We accept from any genre: historical, adventure, paranormal, contemporary, etc. Swoon Reads wants to give you the opportunity to see what goes on behind the publishing process and you get to decide what we publish! You are welcome to head on over there now and visit the comunity in Beta! Fire and Ice is thrilled to be today’s stop on the official Monument 14 blog tour. 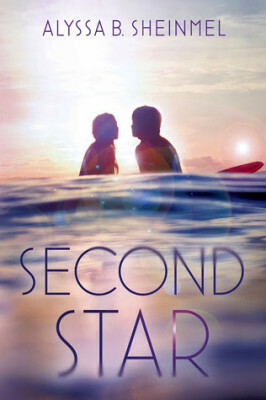 We have a guest post from the author Emmy Laybourne as well as a giveaway! I’m so delighted to be guest blogging here at Fire and Ice. Since my blog tour coincides with the Fierce Reads author tour – Heather and I thought it would be cool if I used this blog spot as a report from the field. Here is a day by day report on the tour so far! I was picked up at 6:30 by Carmel – a trusty NY car service company that has a catchy phone number – 212 + all sixes. This probably makes the devil very happy. 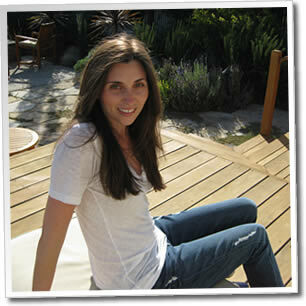 I had planned to have my husband, Greg, take a photograph of me and the driver in our driveway before I set out. However, after kissing my two beautiful, sleeping children goodbye (8 and 5 years old) I burst into tears. They were so sleepy and warm and I felt, somehow, that my being away for two weeks would change them and somehow I’d return to find them more grown up. Also, I am a crybaby in general, so it was somewhat par for the course. Anyway it didn’t seem like the right time to take a photo. Instead my husband gave me a good hug and assured me that they’d all be fine and I let my driver, Osama, load my suitcase into the trunk of the towncar. I spent the ride to the airport blotting makeup off my cheeks, chin and décolleté. By the time we arrived at Newark, I had sufficiently recovered enough to ask a passerby to take a photo of the driver and I. To my surprise, Osama asked me to email him a copy of the photo. I have no idea why he would want a photo with me, especially one with me looking so bedraggled. But here it is. Cheers, Osama! I spent the flight reading M14 and marking up places where I might read at tonight’s book party/improv show. Instead of doing the usual book reading and signing in a store, I decided to do something really new and strange. 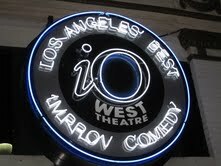 I assembled a group of improvisers and tonight we would do a show at a great little LA theater called Improv Olympic West. The show follows an improv format called The Armando. The way it usually works is that an actor or celebrity tells a story from their life and then the improvisers interrupt it to do scenes loosely based on the monologue. But for my show, I would read from Monument 14 and improvisers would work based on what I read. I took the time on the plane to re-read M14 and select passages I thought might work well in the show. I was happy to discover I still liked the book! It was great to see all my friends at the Book launch show. I couldn’t believe how many people came out to celebrate the release of Monument 14. Afterwards, I got to sign books for my friends. That, let me tell you, is fun! My brother, Sam and his beautiful wife Herran were there in full support mode. Sam even brought a bunch of writer friends from his recent gig at Cougartown. That’s the kind of guy he is and it’s just one of the reasons why I dedicated Monument 14 to him. The show was solidly good, but I think I threw the improvisers too many curveballs with my readings from the text. They would have been better serves if I had just read the first chapter of the book – allowing them to interrupt me with scenes. Oh well, live and learn! The next time I assemble a LA cast to do an Armando on my post-apocalyptic YA debut, I’ll know! Now, I should take a moment to say that until I pulled into the hotel, I had NO IDEA what “kind” of tour I was on. Would we be staying at Motel 6’s and eating at McDonalds? Would we be living the high life at fancy hotels with pools and spas and manservants named Sasha? Guess what – it’s the latter. Sort of. Everything except for Sasha. Our first hotel is the Sheraton Suites Fairplex in La Verne. Now, the Four Seasons it aint, but I have a suite with a King bed and it’s a sweeeeet suite! It turns out all the hotels we’ll be in will be this nice. 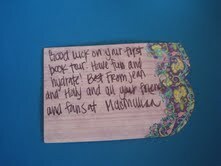 I know because I asked Kate Lied, our Macmillan rep, “Will all the hotels be this nice?” and she said, “Yes.” yahooo! 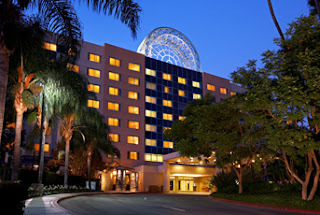 I checked in to the room, pinched myself several times and prepared to meet the other authors. It was funny, meeting these authors that I know I’ll be spending the next two weeks with! They are all very nice, as it to be expected. What I did not expect was that they’d all also be so funny! Anna Banks, in particular, has a dry wit that totally took me by surprise. She sort of sneaks up on you and then zings you so bad you can’t recover. I like her. A lot. We all had dinner and during dinner I learned that Leigh Bardugo is a crybaby, just like me; Jen Bosworth has a deep dark secret that WILL come out during the tour; Kate Lied (our lovely Macmillan rep) does not like chocolate; Jessica Brody gives great advice; and Anna wants to write a YA Sasquatch romance. You know, I trained as a comedy improviser and was a professional actor for 10 years — I was confident that I could be funny and personable at the event. What I was not prepared for was how emotional I would feel looking out at the readers and fans who gathered at Mrs. Nelson’s Bookshop. Here’s a photo I took of them. I love books and I love writing. And I felt, looking out at the friendly, smiling faces, like I had somehow come home. Like sitting and talking about fiction with other book lovers was what I was meant to do. I knew I loved the writing part of this job, but I didn’t know about these other parts of the job – meeting readers, talking about my work, and connecting with fans. What can I say, I feel extraordinarily lucky and blessed to get to do this. That’s my first tour report! I’m so glad that Heather encouraged me to report in from the field. I’ll be making another report on the Author tour on Monday, June 11 at: http://withabook.blogspot.com/ Tune in to see if I am still quite so euphoric! And hey – if you’re in San Francisco, please come join us tonight along with Not Your Mother’s Bookclub at Books, Inc. (the Opera plaza location.) I promise I won’t cry on you! 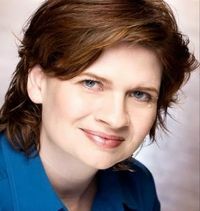 About the Author: Emmy Laybourne’s first novel, Monument 14, will be published by Feiwel and Friends, a division of Macmillan, in June 2012. 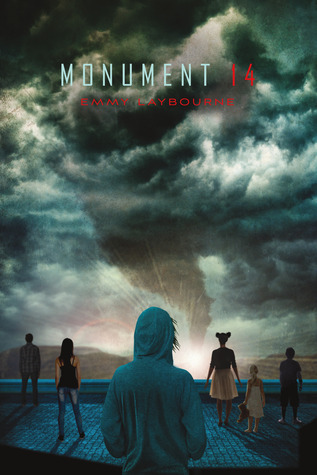 The sequel, Monument 14: Sky On Fire, is expected to be released in the summer of 2013. Writer’s Advanced Workshop, writing a musical called “The Midnight Princess” with composer Paul Libman. Learn more about the blog tour and visit all the stops here. The Giveaway: Feiwel and Friends has generously donated one copy of Monument 14 to our readers with a US or Canada mailing address. To enter fill out this form. Good luck!